My kids are 22, 15, 12 and 13. The three youngest still live at home and have weekly responsibilities to fulfill. Each week they have a set of chores and jobs. Their chores are things they do that they aren’t compensated for. Those are things like making their beds, cleaning their rooms and bathroom. Then they have jobs. 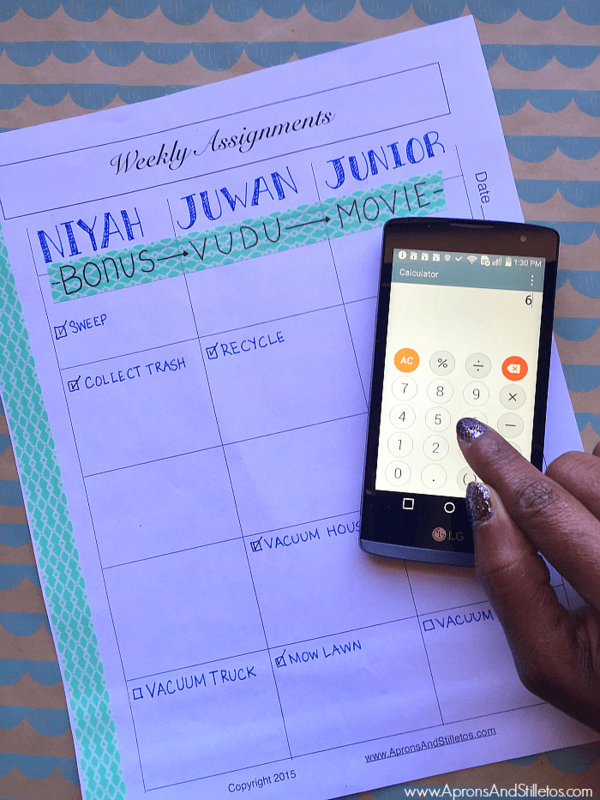 Their jobs are things they have to do to help manage our home and we track those things using a blank weekly assignments sheet. You can pull it up from your computer or phone and print. As a family, we believe it’s important to teach our children the value of hard work and reward. We do that in the way we manage our money and how were reward them for hard work. This month I was able to teach them a great lesson by rewarding them with a bonus for being the most reliable. I bought them a new phone from Walmart after the screen on their old one cracked. I also upgraded them to the Walmart Family Mobile PLUS plan with Unlimited Talk, Text, & Data which includes up to 10GB of 4G LTE data PLUS a free movie on VUDU ($7 value) every month for $49.88. It costs me around $10 more than the old plan, but the kids get more data and a free movie credit worth $7 every month we’re on the plan. We are big on family movie nights, so this deal works great for us. 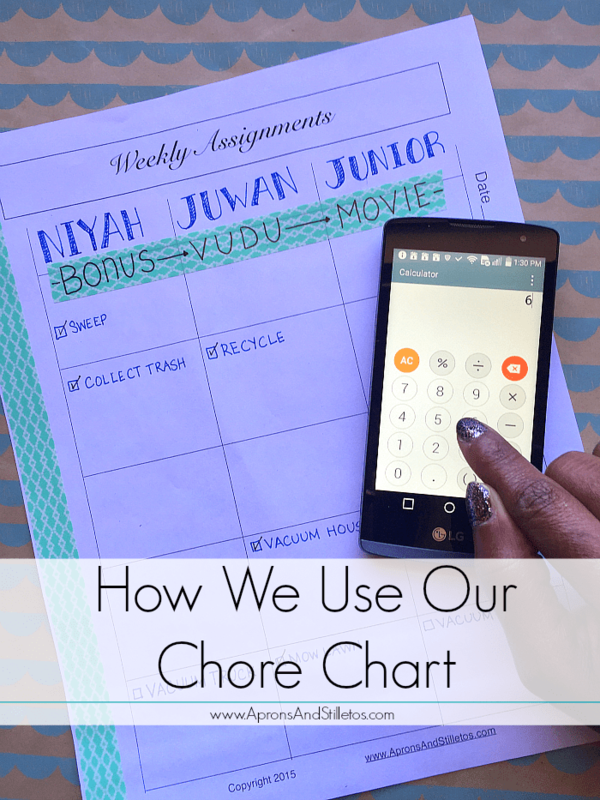 I plan to gift the credit to my child who is the most consistent with their chores each month. 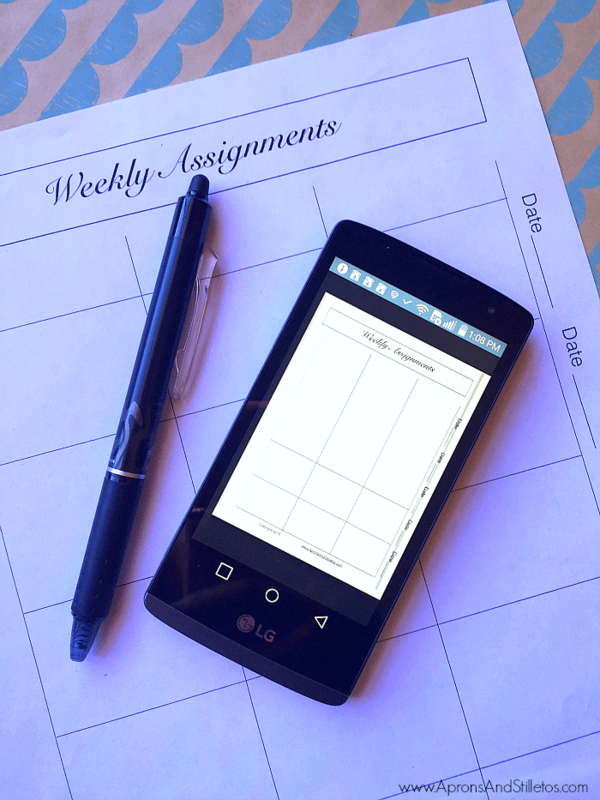 Every four weeks, I’ll review their Weekly Assignment sheets to see who did the best. Whoever it is will get to choose the movie we watch as a family. We love gathering in the family room to watch movies and can easily stream movies from VUDU using our Roku. We’ve been using the printable since school started and love how easy it is to meet track of what task have been completed. The kids are excited about the movie credit and their new phone. 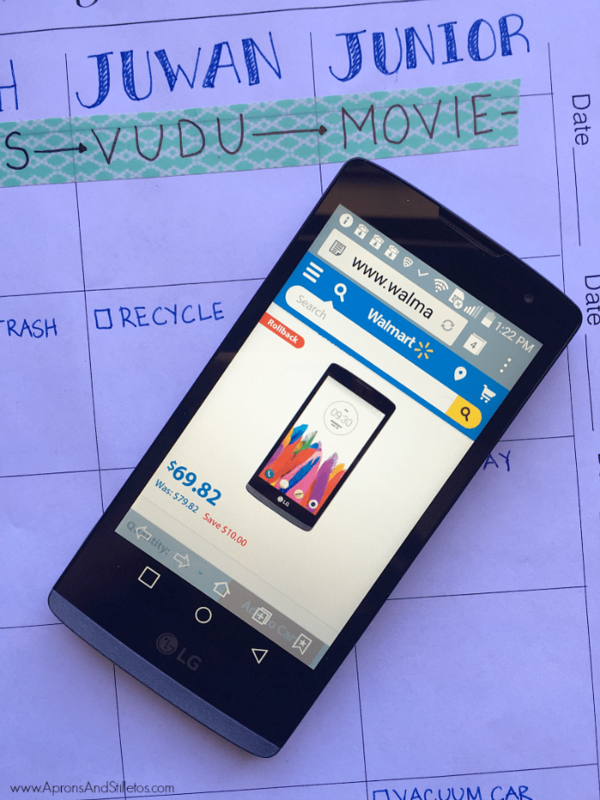 I ended up getting them the LG Leon LTE for $69.82 from the Walmart Mobile kiosk. I’m so glad Walmart opened that little space up to service it’s mobile phone customers. Prior to this phone we had the Samsung Galaxy Grand Prime which is on Rollback for $99.00 right now. I really liked the large screen on that phone, but it wasn’t good fit for the kids to take to school in their pocket. The LG Leon is much smaller and easier for them to fit in their skinny jeans. 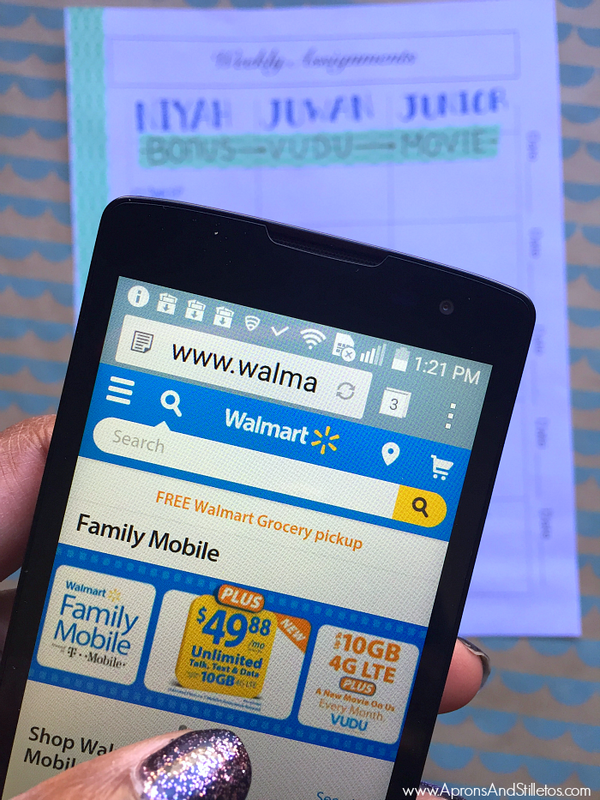 I’ve been using Walmart Family Moible plans for my kids going on two years and like the ease and price of the plans. If you’d like more details about what they have to offer, check out their Family Mobile Hub. Yes we enjoy letting the kids choose the movie and watching them work hard to complete thier jobs.